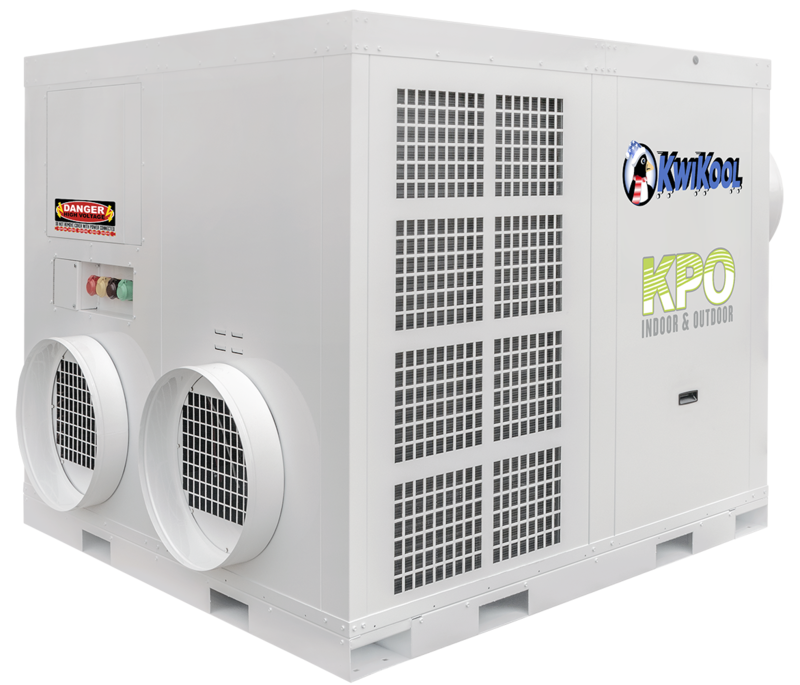 The Model KPO25-43 (25-ton or 270,000 Btu) is the most versatile unit in size and capabilities compared to other portables with similar capacity. 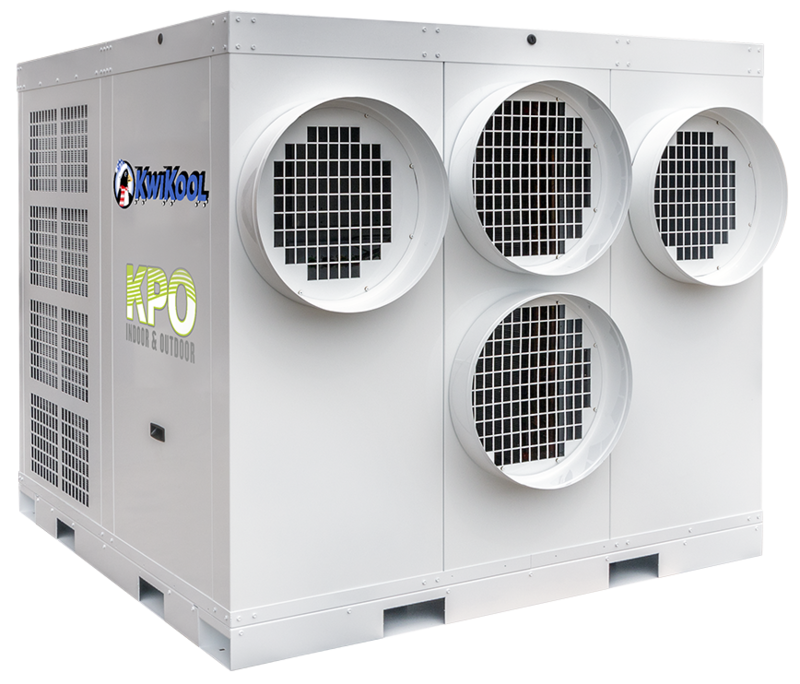 The KPO25-43 has an extremely small footprint that is ideal for difficult applications with limited available space for outside equipment. The KPO25-43 model is 66″ wide, 66″ long, and 60″ tall, which allows for up to three units to be loaded on a standard flatbed truck. The same flatbed truck can only transport one comparable 25-ton package unit. The heavy-duty 12 gauge steel base offers fork lift skid access for easy movement, setup, and transport. 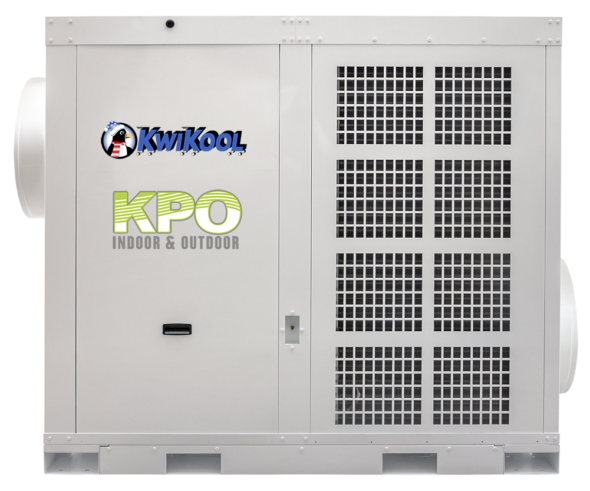 The unit is placed outdoors with a duct running into a building space, using high static blowers to reach an isolated heat load, such as a sealed interior room. 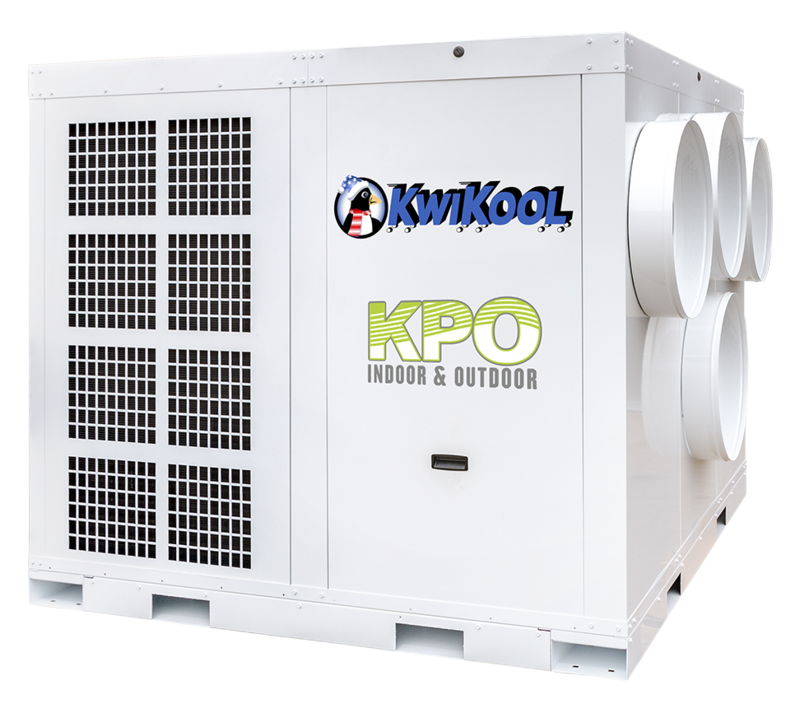 This KPO model offers advanced airflow capabilities, up to 75 feet of 20″ cold air supply and return ducts, which eliminates the need for the addition of a booster blower. 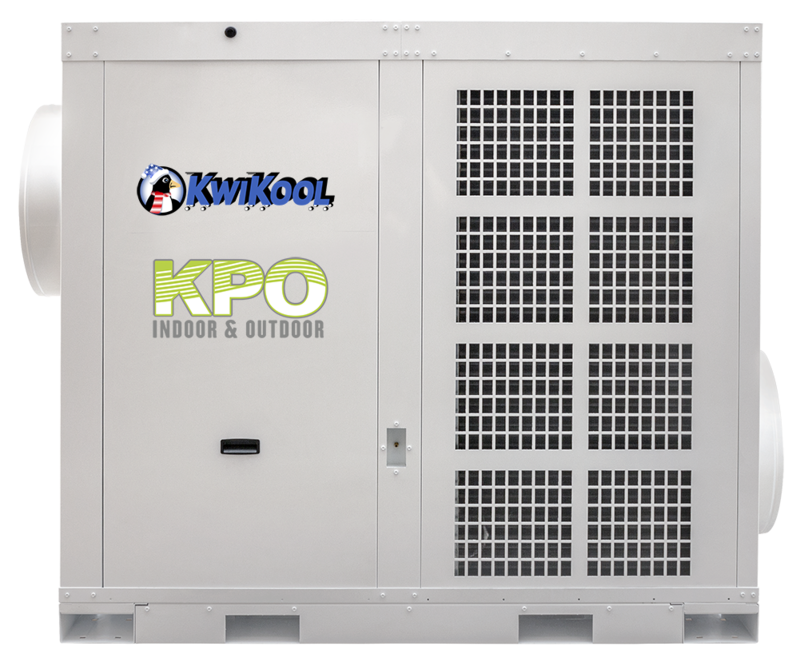 The KPO25-43 runs on a 460-volt/80-amp 3-phase circuit with built-in Cam Lock Connections for easy electrical hook up. In order to provide the unit with electrical protection, the KPO25-43 has a phase monitor. 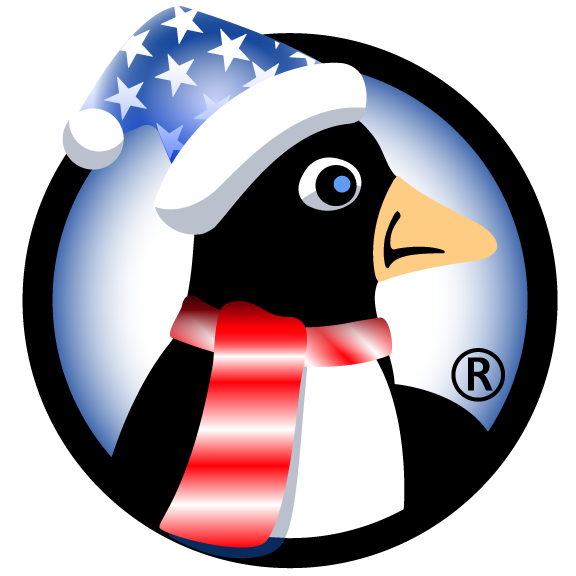 The unit will automatically shut down if the voltage or phases are improper, which could damage the unit’s electrical components. 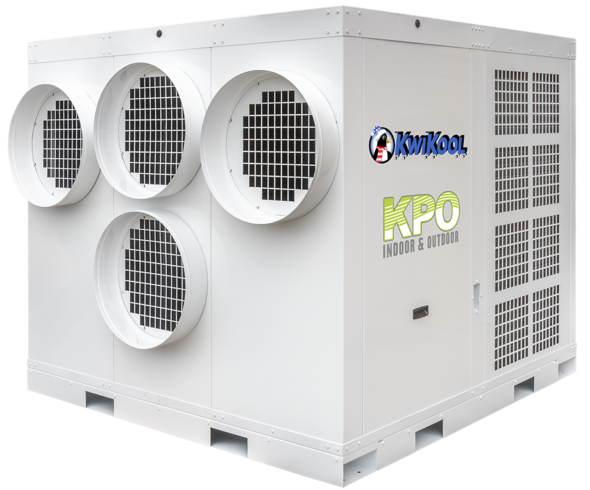 In addition, the condenser has Low Ambient Temperature Capability using a Variable Frequency Drive that allows the unit to operate at temperatures below freezing. The unit also comes with an internal high lift condensate pump to adequately remove condensation.